Indian scientists have come up with an innovative way of keeping our soldiers warm in the freezing temperatures of Siachen.This material is also sometimes referred to as frozen smoke and its so delicate that it can even be placed on flower’s head. Indian scientists have come up with an innovative way of keeping our soldiers warm in the freezing temperatures of Siachen. A team of scientists at Vikram Sarabhai Space Centre in Thiruvananthapuram, India's premier rocket lab have created the world’s lightest material called silica aerogel or blue air. This gel which is being developed will act as a coolant and provide thermal resistance. The scientists also claim that this light material is not only useful on earth but is equally useful in space too because of its excellent thermal resistance. This material is also sometimes referred to as frozen smoke and its so delicate that it can even be placed on flower’s head. “It is the world's lightest synthetic material made by man. It is a highly guarded technology. We have indigenously made it in India,” K. Sivan, the head of the rocket laboratory, told media. He also added that it is very useful for those who work in extremely cold environments. This light material has multiple uses as it can also be used to insulate rocket engines. 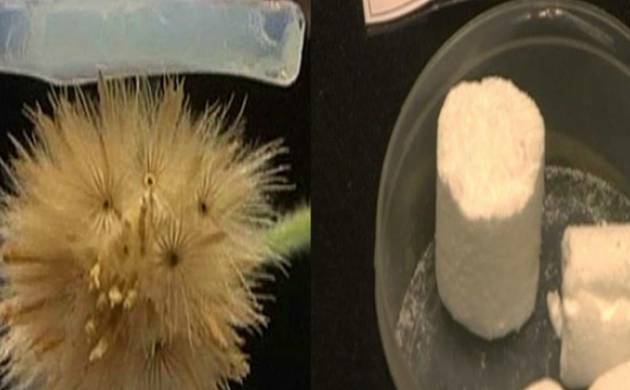 What remains to be highlighted here is this aerogel could have possibly the life of Lance Naik Hanamanthappa Koppad and his fellow soldiers' lives from the frozen bite that took their lives.